More LignUp magic! 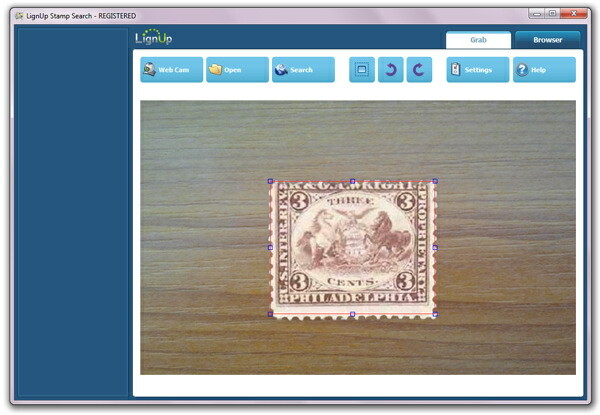 This new stamp identification application provides unbeatable tools for the true philatelist. No longer is there a need for long and tiring searches. Simply take a single photo of a stamp, and your smart software detects and searches your stamp over the Web — automatically. Stamp identification occurs like magic. Imagine how much time you’ll save, all while searching dozens of catalogs! - Good for pros and beginners, the simple interface doesn't require any education to start using. See for yourself how easy it is on the video tutorial! 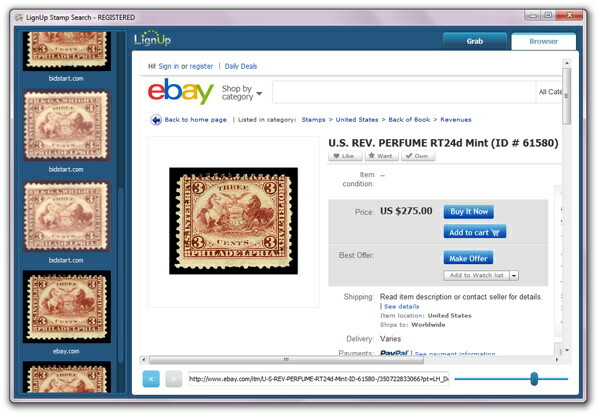 - Helps with stamp valuation by browsing online auctions search results. - Indecently cheap, this convenient app costs only $19.95. Compare this with any other stamp related tools on the market. Download the free demo version to experience the easy to use interface and powerful search capabilities for yourself. Use it for your US stamps indentification - This is FREE. One of the most useful and stress-saving programs available. Did you ever tried to identify Chinese stamps ? You basically get it for sending the developers one cup of coffee each month. This works not only for my needs, but also is fun for my daughter. She can't stop of playing with the software and telling me about the highly valuated stamps in my collection. Thanks you for this invaluable tool! This program allows me to establish an "identification laboratory" in my stamp shop. Now I don't need to identify stamps myself; my shop-assistants can do this easily! I bought it, and it has made me one very happy stamp maniac! Magic solution for stamps organizing. 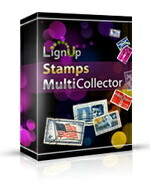 One license for all collecting programs. Save up to 50% on Pack of All Apps for 2 computers.